Free John 20:31 print and color page. 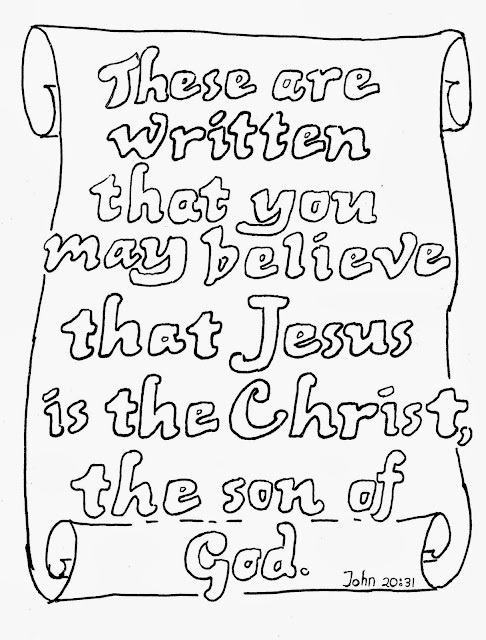 Use it as an Awana sparks verse coloring page. Send it home for the kids to do later. John 20:31 says, "These things are written that you may believe that Jesus is the Christ the sun of God." John 20:31. Some printers work better if you copy and paste the image into a Word Document then print as you would normally. If you have problems printing see the "HOW TO PRINT" tab above or try the updated link below that should print better. CLICK HERE to go to a file in photo format. I drew the words so the kids could color them in and the scroll was to tie the picture into the lesson. The kids like to color every letter differently and the scroll can be a background or a border. 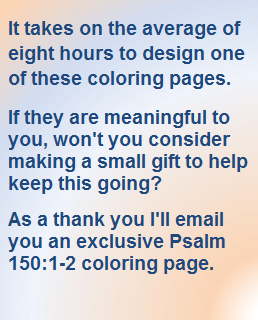 To see more free to print coloring projects like this search the sidebar. To find more like this use the search box above or choose from the most popular listed on the right. I am sure you will find one you will like. Labels: Awana, New Testament verse.